A posh powder room is only a few pick-me-ups away! 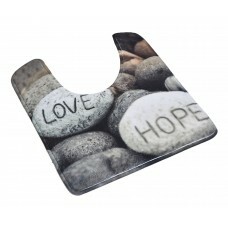 Start splashing up the style in your spa-worthy s..
Engraved design enriches any space with distinctive style. Your bathroom decor will take on an elega.. 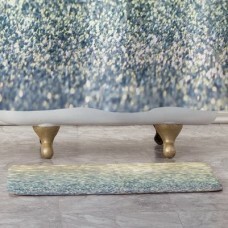 This shaggy loop bath rug is 100% cotton. Thick fabric and ultra-soft touch, it will add a luxurious..
With its bright white seagulls flying on a gradient blue background tufted in 100% cotton, this Seag..
FeaturesProduct TypeBath RugPatternSolid ColorColorWhite/SilverMaterial100% CottonGenderNeutralProdu.. 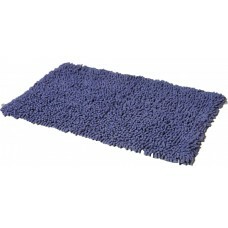 Comfort luxe memory foam bath rug is soft underfoot and durable. This rug will pamper your feet when..
Ultra soft crochet 100% cotton rug that blooms like a spring flower. You will love this unique desig.. This Diamonds Bath Rug features SBR backing, a poly face, and embossed memory foam so you can step o..
Give your bathroom a soft and comfortable touch with the Madison Park Stria Border Stripe Marshmallo.. Enjoy a zen-like, cozy and romantic atmosphere with this nice floor pedestal toilet contour mat Desi..
Don't subject yourself to the standard toilet rugs that quickly become a petri dish for all of the b..